Supreme Court issues notice to Rahul Gandhi: Former Attorney General Mukul Rohatgi, who represented Meenakshi Lekhi in the top court, said Rahul Gandhi has made a remark that the "Supreme Court has said, chowkidaar chor hai" in its verdict. Meenakshi Lekhi also claimed in her petition that 'the words used and attributed by the Congress president to the Supreme Court in the Rafale case has been made to appear something else. 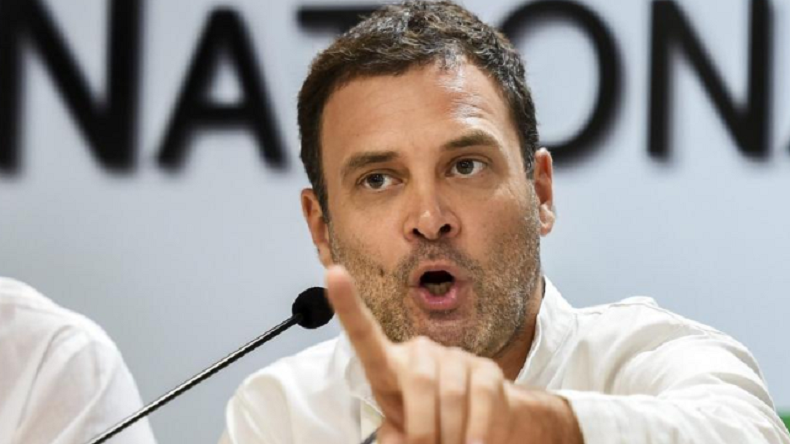 Supreme Court issues notice to Rahul Gandhi: The Supreme Court on Monday issued a notice to Congress president Rahul Gandhi in connection with a contempt petition filed against him by BJP leader Meenakshi Lekhi. The Supreme Court has sought an explanation from Gandhi before Monday and has fixed the matter for further hearing on Monday (April 22, 2019). On Friday, the Supreme Court had agreed to hear a contempt plea filed by BJP leader Meenakshi Lekhi against the Congress president for the latter’s alleged remarks on Prime Minister Narendra Modi over the top court’s judgment on the admissibility of certain papers in Rafale review matter. The Gandhi scion launched a scathing attack after the apex court on Wednesday rejected the Centre’s preliminary objections seeking review of its December 14 judgment. Attorney General KK Venugopal, who appeared for the Centre before the SC, argued that sensitive documents related to the Rafale deal, which were accessed by the media and petitioners, should not be considered as evidence. However, the top court made it clear that it will look at the leaked papers and review its earlier verdict (December 14 judgment) where the government was given a clean chit on the contentious Rafale deal. Apart from that, the SC expresses displeasure with EC ‘having limited power to act against leaders like Mayawati and Yogi Adityanath making a statement along religious lines and violating the ‘Model Code of Conduct during elections’. An apex court bench headed by CJI Ranjan Gogoi has asked a representative of the EC to appear before it on Tuesday. Supreme Court has also asked the Election Commission of India to watch Vivek Oberoi starrer ‘PM Narendra Modi’ and take a call on whether it should be banned. The apex court asked the EC to give its view to the court by April 22 in a sealed cover. Makers of the movie had moved the SC against the stay on its release by the poll body.